Prestwick St. Nicholas Hole 2: The first par three of the day features a tough green to putt, so getting the ball in the right area is key, or at least leaving an uphill chip shot or putt is a good idea. Prestwick St. Nicholas Hole 3: It is mostly the view on this short par four that warrants mention, but the green is drivable and the fairway is forgiving. However, it lies upon a steep slope that will reject any short shot and chipping up it is difficult, so approaches from farther back also have a chance to get close for a birdie. 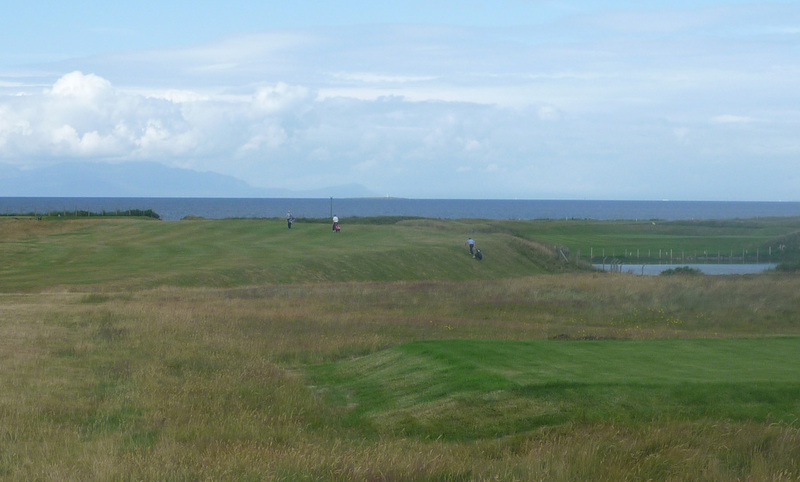 Prestwick St. Nicholas Hole 6: This short par four plays into the prevailing wind and features a semi-blind tee shot. What the player can see is the out of bounds wall to the right that pinches in past the dune in the fairway, which does not inspire confidence. Beyond the corner of the wall, the fairway widens, but it takes trust and length. 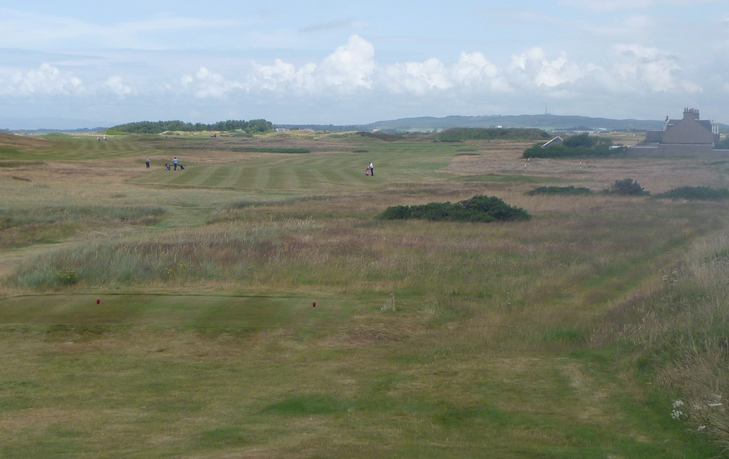 The view once past the dune is spectacular to the green and coastline behind. Prestwick St. Nicholas Hole 8: Slightly out of place with the rest of the course, as it resembles target golf, but a solid hole nonetheless, the main feature of this hole is the lake right of the fairway, behind which the green is cut. 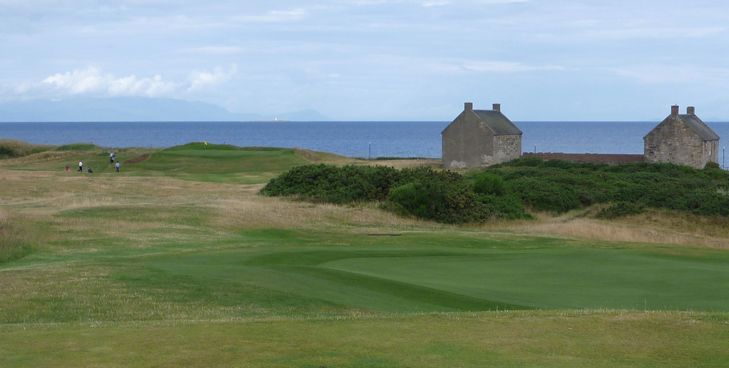 Prestwick St. Nicholas Hole 10: The first hole on the back nine is a classic, ocean view par three with deep bunkers surrounding. For the real awful shot, there is heather / hazard way short of the green. 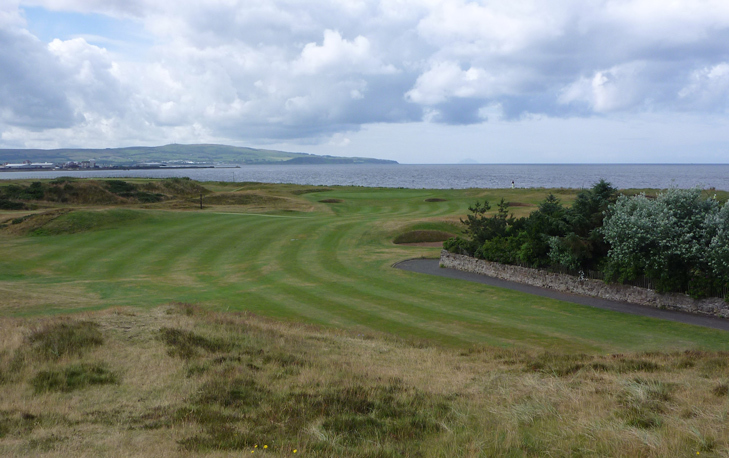 Prestwick St. Nicholas Hole 13: Long and brutal, there is no secret on this hole. The golfer must pound two solid shots while avoiding the heather and bunkers along the way to have any shot at par. Prestwick St. Nicholas Hole 16: Another strategic par four, this one features a very hilly fairway, where the best play is actually to the left side, which is blind from the tee. The approach is then easier to a green that will reject shots coming up short or dump them into the pot bunker short right. 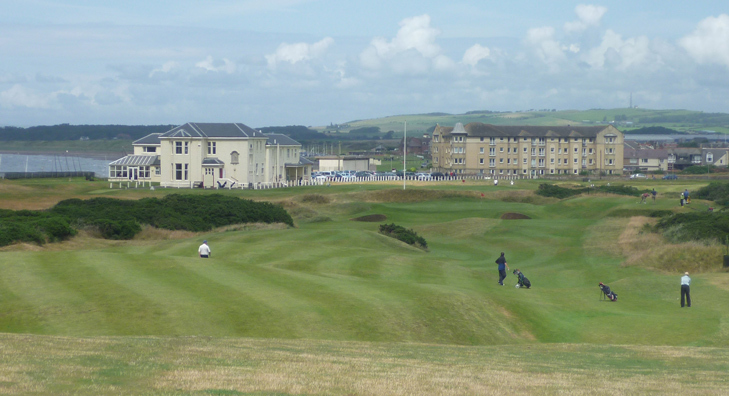 Read More Scotland Golf Course Reviews.